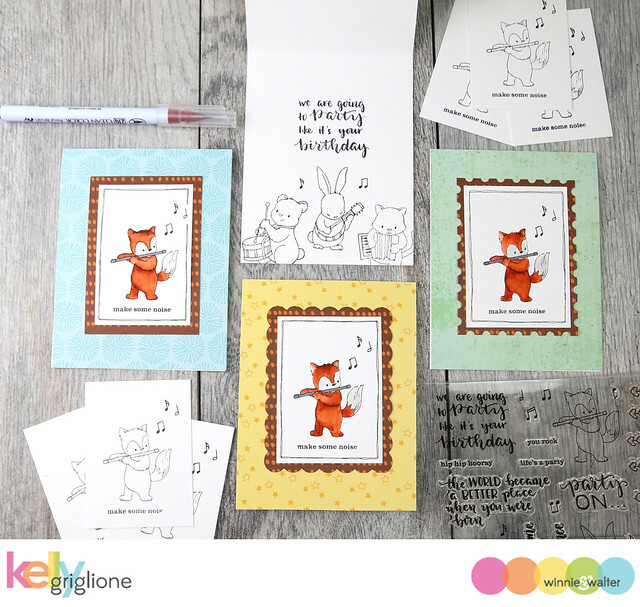 We have a new set called Party On with Evelin T Designs which has some adorable musical animals just ready to play a tune to celebrate to along with lovely sentiments handwritten by Evelin. This set can be used with other Evelin T Designs sets and wait until you see tomorrow's set ;-). We are also introducing coordinating cutaways for Party On with Evelin T Designs. 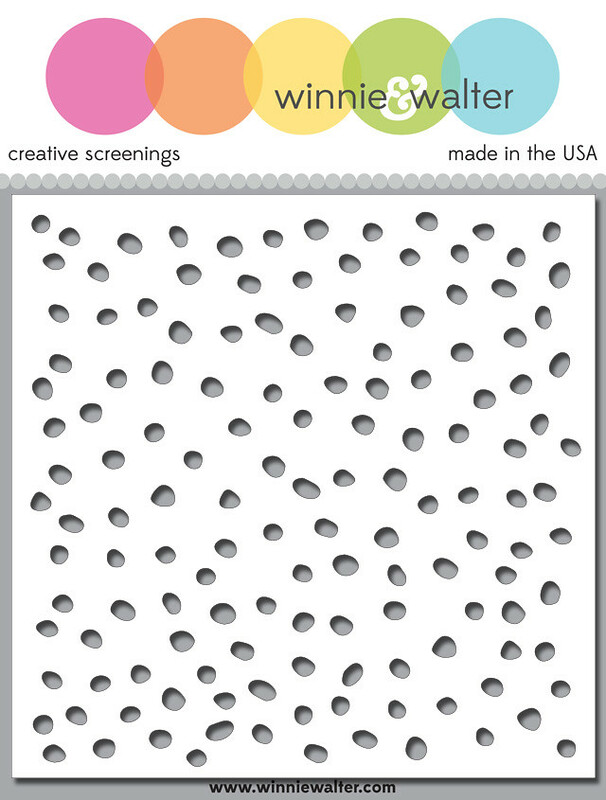 For all of you stencil lovers like me we are also introducing our Scenery: Spotty Creative Screenings! 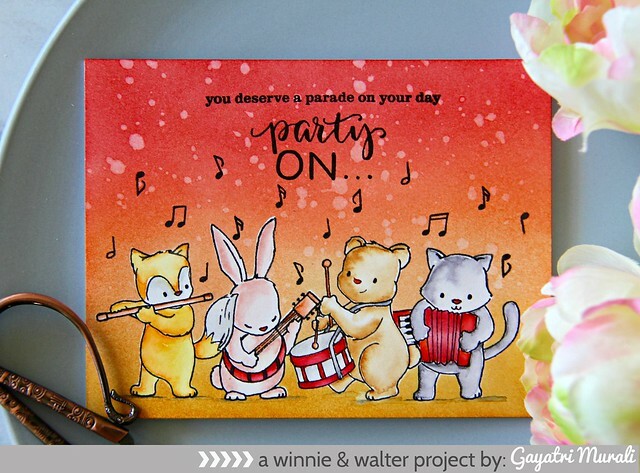 Today we get to see the first of two delightful set from Evelin this release: Party On with Evelin T Designs. I have a couple of cards to share with you. I decided for the first card to focus upon the the sweet heart and flower garland. On a piece of white cardstock I stamped it several times and then colored it in with colored pencils. I layered the garland panel onto layer of black cardstock and then adhered it onto a white card base. For the sentiment I began by stamping the frame from Framed with Evelin T Designs on a piece of white cardstock, cut it out and then colored it in with colored pencils and then stamped the sentiment from Party On with Evelin T Designs which I attached to the card using dimensional adhesive. For my second card I stamped the bear and fox on white cardstock in black ink and then colored in the animals with Distress Inks and a water brush. I cut them out using Party On with Evelin T Designs Cutaways. On a piece of white cardstock cut using the smaller rectangle panel from Essentials: Katharine Cutaways I stamped the banner from Framed with Evelin T Designs and colored it in with Distress Ink and water brush including adding some grass to the base of the banner and then stamped the sentiments onto the banner. I stamped the musical notes in black ink and then added the animals with dimensional adhesive. On a card base I used the new Scenery: Spotty Creative Screenings with an ink blending tool and Distress Inks and added layers of colored dots. I then adhered the animal panel to the spotty card base. That's it from me, but there is so much more to see from our incredible guests, Jessica Lin and Crystal Thompson, and the Talent. Please be sure to click the links to their blogs and leave them some love. 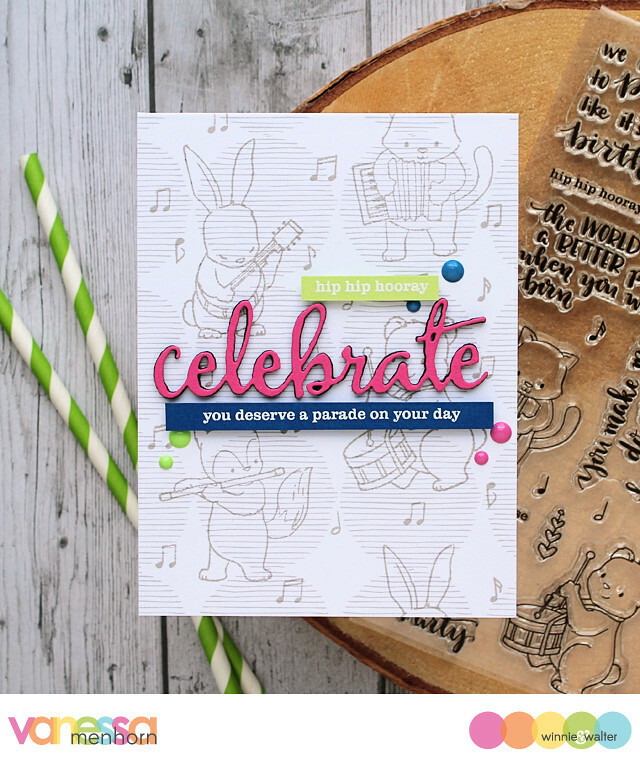 Comment here on this post for a chance to win Party On with Evelin T Designs stamp set + Party On with Evelin T Designs Cutaways + Scenery: Spotty Creative Screenings of your own by 11:59 p.m. (central standard time) June 30, 2017. One comment will be chosen at random. All winners during our January/February 2017 Release will be announced by July 7, 2017. Fabulous cards celebrating this stamp set and the screening...so much fun. I am truly amazed by all the beautiful creations today. I would love to send any one of these fantastic cards! Oh how I love the bunny with the banjo! With two daughters who are musicians (guitarists), I could think of some fun cards for them! More adorable critters. They look wonderful whether left uncolored or colored (especially with a soft watercolor wash). What a great stamp set. The sentiments are wonderful. The critters look so cute and I loved the sentiments in the set too :) Adorable cards by the team . How adorable are those critters?! And the heart garland is so pretty - love that! The font is gorgeous. Beautiful cards by all. Party On is adorable, and I love the new stencil! Fabulous cards to highlight the new items! The musical critters are adorable!!! So cute, this is an amazing release! Thank you for offer the free set with purchase during the release! Can't wait to order. 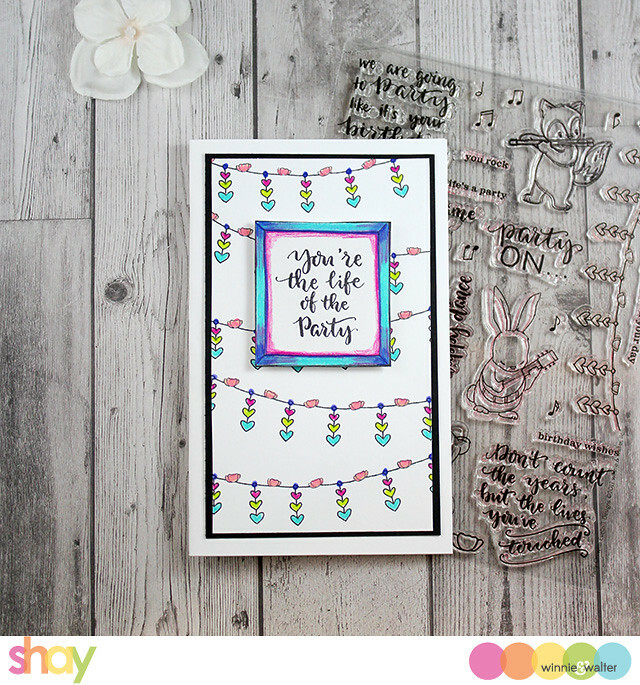 The party on stamp is so adorable and I love the font of the sentiments! Super cute cards! This set is just absolutely adorable!! All the little critters are so sweet, but I also really love all the matching elements in the set. And the sentiments are spectacular. I adore the critters playing instruments! OMG these critters with their instruments ....so so cute! Love these cuties and such adorable creations! Such fun releases and inspiration! 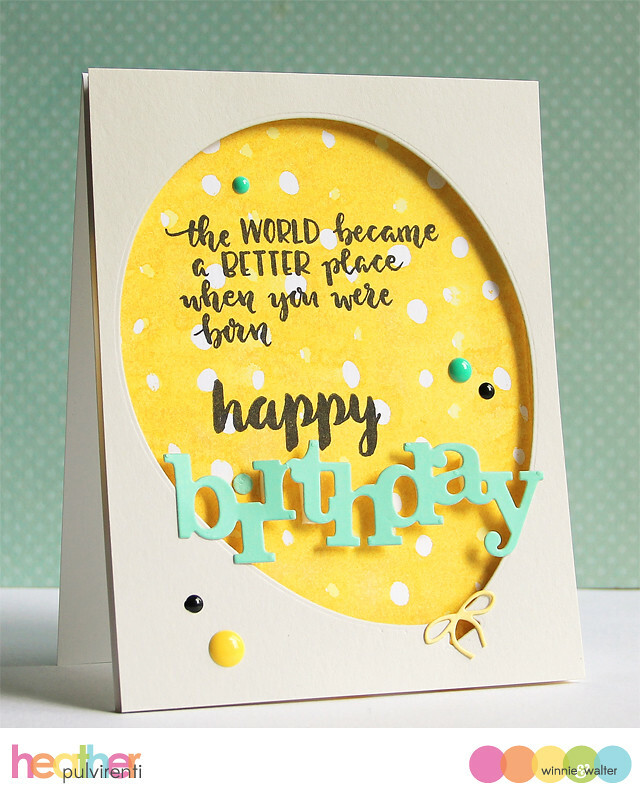 Love the dots stencil & wonderful sentiments! Beautiful work by all of you! The images from the party On animals are so adorable and sweet! Love all this inspirations! 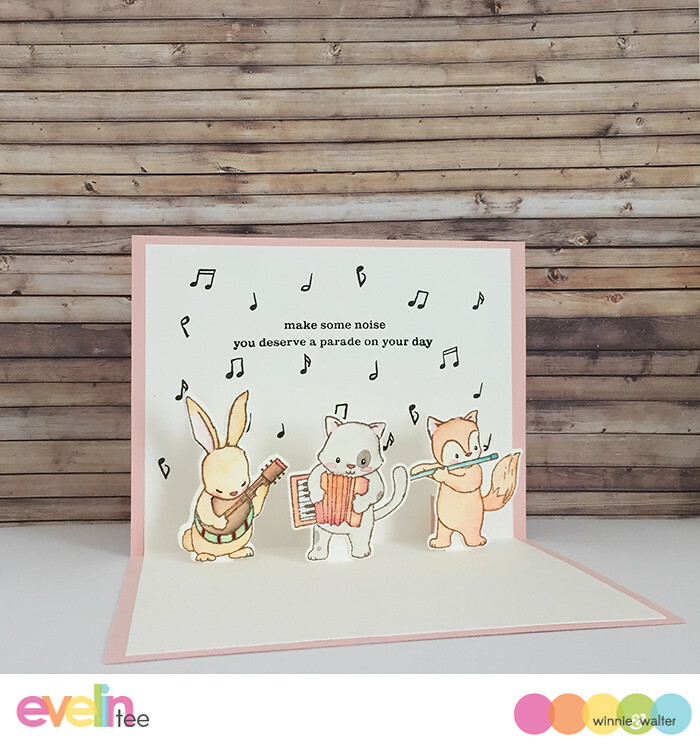 Evylin's critters are just adorable with their musical instruments! Love what everyone has done with them. That is a fantastic birthday set. Such FABULOUS sentiments to go with the critters or use alone! I also am really loving that heart garland. So many possibilities with this set. One that I would love to give a home to in my craft room!!! Sweet cards! Love those musical critters! So cute. 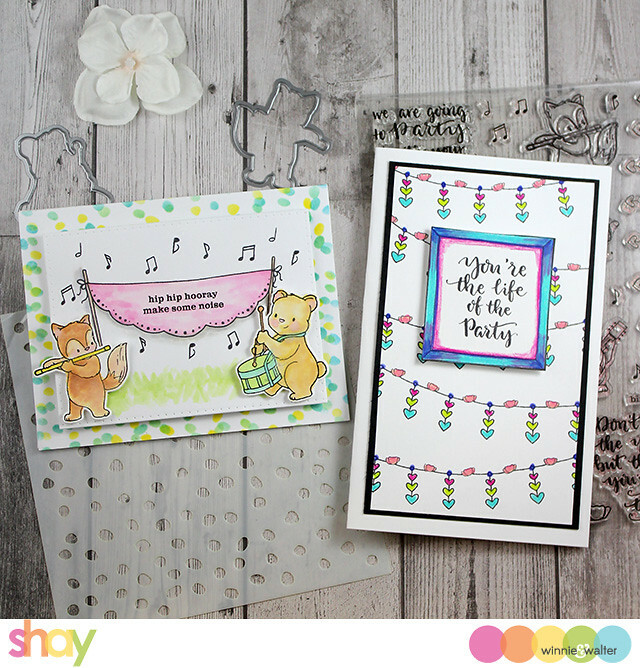 These little critters are so sweet and have some great sentiments to go along with them! I am loving this release. The bunny with the banjo has to be my favorite. The carmakers have done a great job of showcasing the new products. 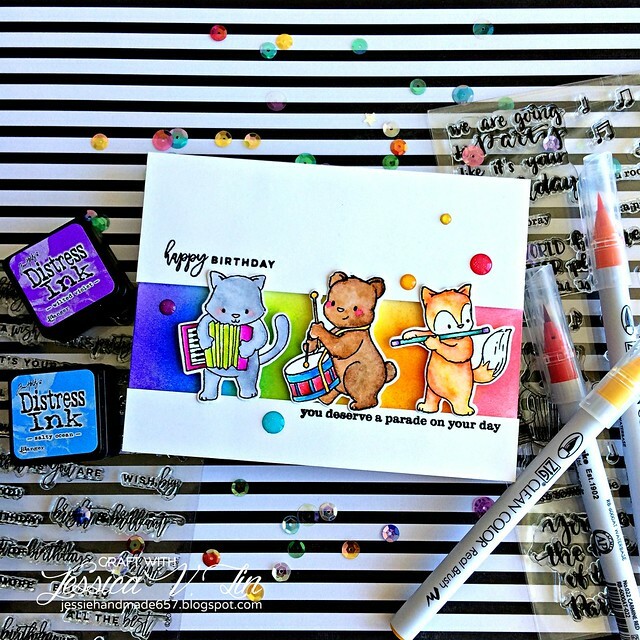 I'm in love with adorable Party On stamp set designed by Evelin T Designs (I'm such a fan of her work). The DT did a fabulous job showcasing the set. I'm looking forward to release day! Love these little musical critters so much! So creative! I love the creative screen; spotty that matches stamp from day one. I think I NEED the set, Party On!! These cute critters would make the perfect birthday cards and decorations...or just fun, everyday projects. Your DT makes it even more appealing, with their beautiful coloring techniques and design. I LOVE this stamp set and the projects that your designers created. FANTASTIC release!!!!! Love the musical theme with these cute critters. Oh those little critters playing instruments are so adorable! Love that background stencil too! Love the adorable critters and their music. The ideas from the DT are wonderful. 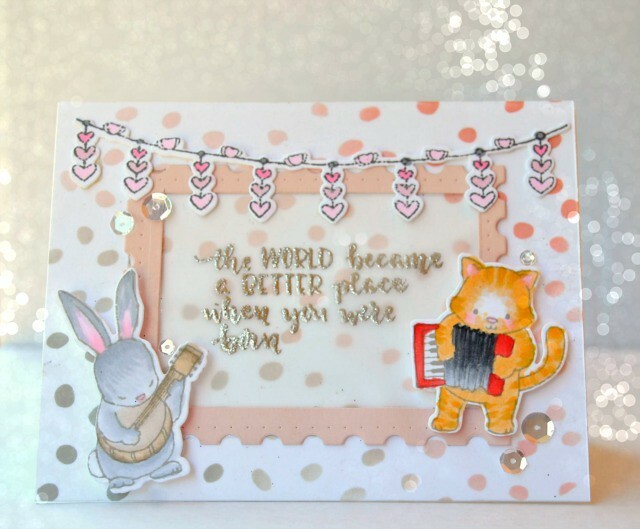 So in love with the rabbit and his banjo, and that stencil can be used for so many different cards!!! Those animals are just adorable. I could send Keren's lovely card there over and over. This stamp set is adorable and I love all the DT cards. So cute!! I love the sweet critters in party on!! The dt cards are all wonderful!! Super cute party animals! Fabulous cards by the design team too! 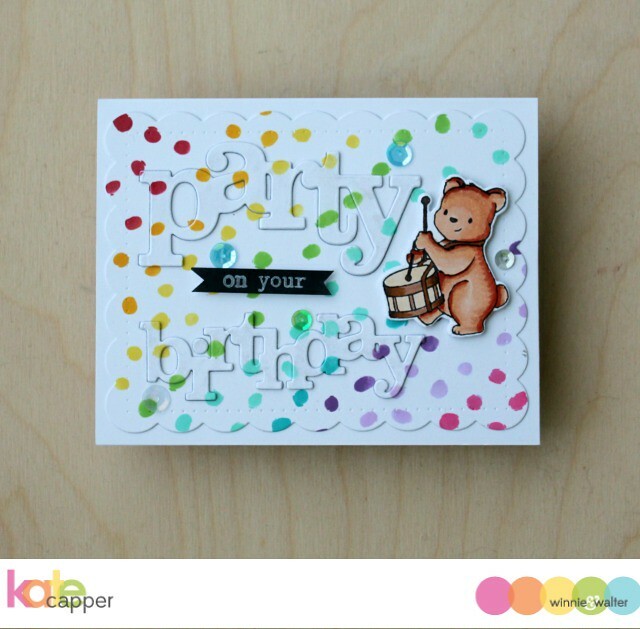 Love the background "spots" in this release both the stamp and the stencil!!! A release filled with great products!! Love them all so far!! Wow! Party On is gorgeous! The team's cards are awesome! How adorable are these tiny critters with their instruments! Love them! This little band of cuties is so adorable! So are all the great projects done with them!! Those are some awesome sentiments on the Party On! Love love the Spotty stencil. Such a great background in 1 color or more, as the background for the new stamps. Oh my goodness, Party On! What a great stamp set! Critters playing music instruments... I don't think it gets any cuter than this!!! I love it! 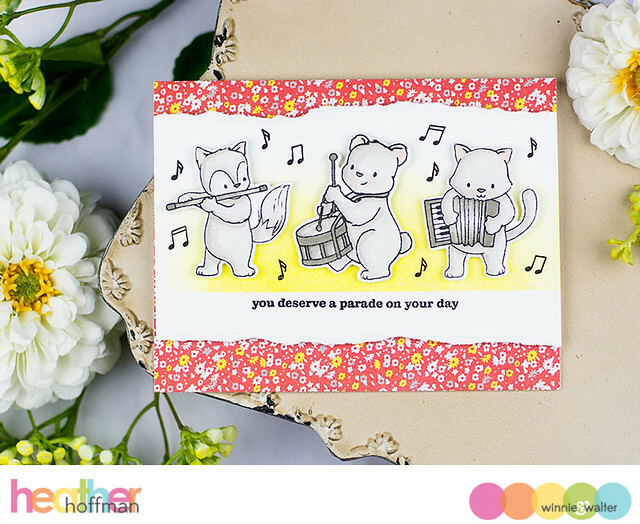 These music animals are adorable and the DT cards are fabulous. A fox with a flute... a bunny with a banjo! Ha! I just love it do much. Great release, I'm really enjoying these previews! Party On is such a sweet set! Loving all the beautiful inspiration! 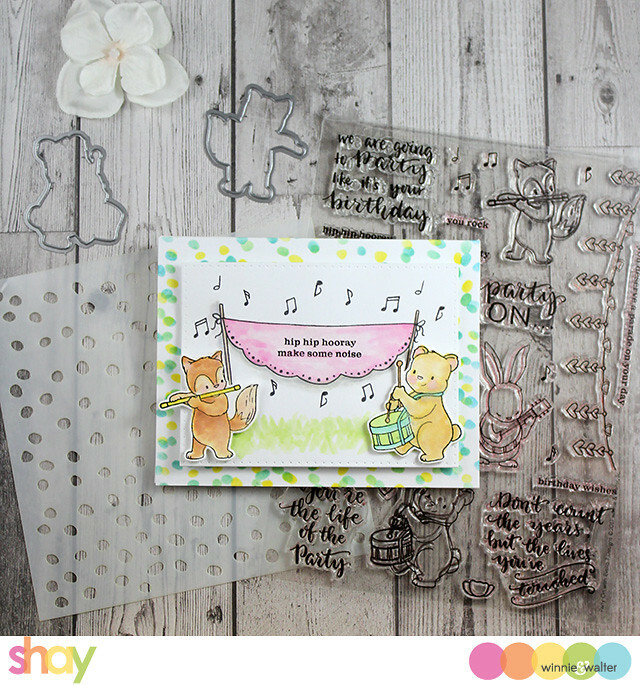 This is a sweet set, my daughter is a musician, she is going to love these lovely images! Critters + music is ne hell of a combination. The cards are so adorable. 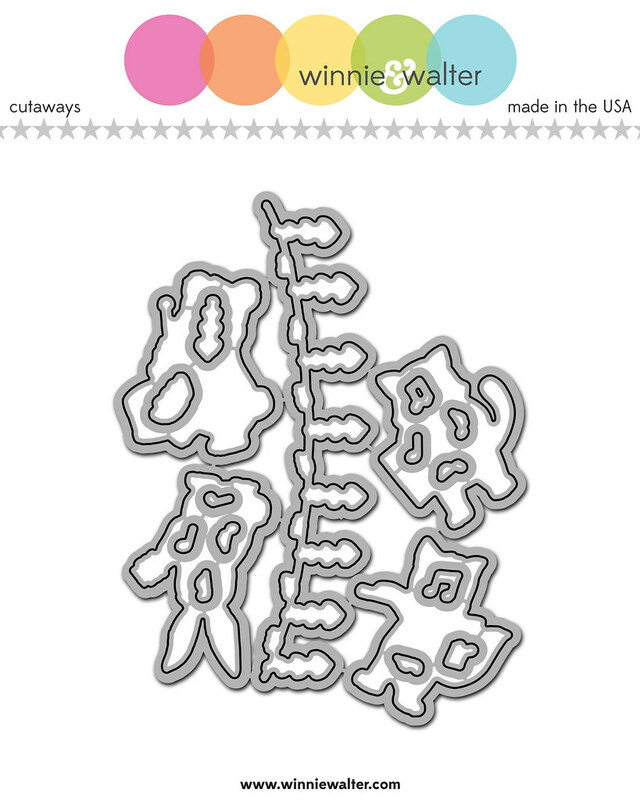 All of those new stamps, dies and stencil are fabulous! Love them all. Awww!!! Adorable critters!!! All these cards are so sweet!!! 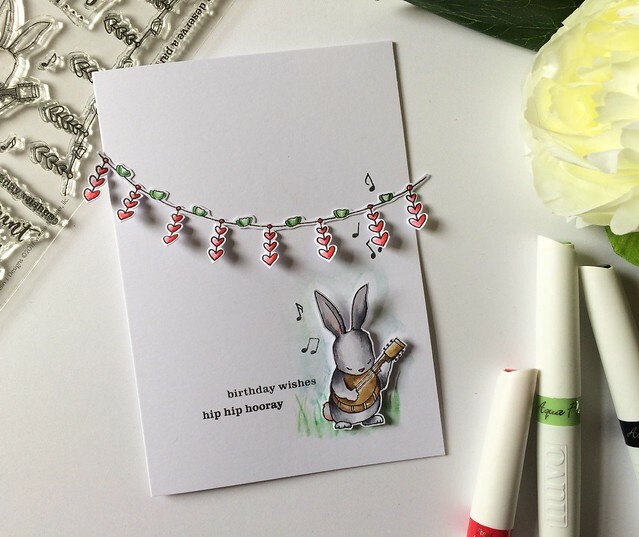 So many fab cards, loving the new release. 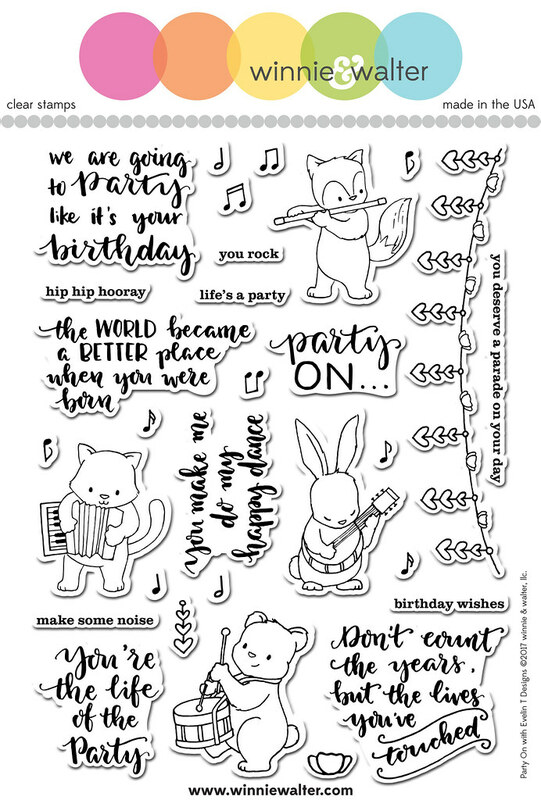 Super cute Party On critters, love the instruments and sentiments too. Love all your Evelyn T Designs. 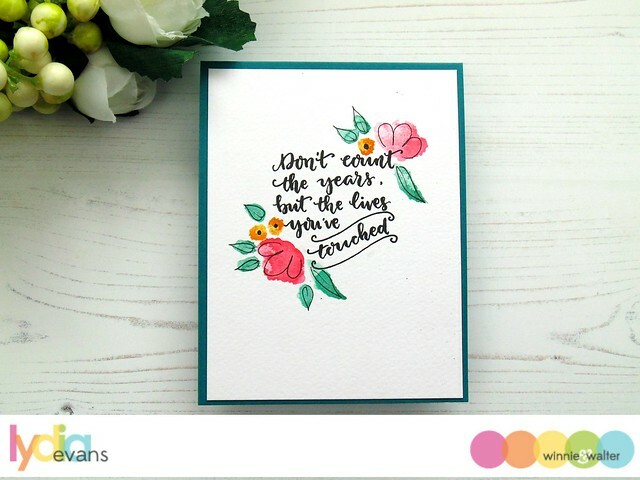 The spotty stencil is festive and I love these gorgeous DT cards! The party critters...oh my stars! Cute, adorable and versatile taken to a whole new level! Your showcases and those of the Talent are outstanding! The party on set is absolutely adorable! Those critters are just too darling! Those party critters are SO cute! Fantastic inspiration from the DT! What a cute stamp set! My daughter is in hand so this stamp set would be perfect on those scrapbook pages! Wow! This stamp set is adorable! Awesome cards! Such a cute stamp set. The cards are super cute! I can't resist cute animals and then when you add music...oh my! Your design team always blows me away with their creative cards! Party On has the cutest animals! I love the string of heart lights too! All the DT's cards show the set off so well! Wonderful stamp set..live the sentiments too much..Thank you for the inspiration. Oh so cute! I love the Party On set! Adorable critters.